Oh boy do we have a treat for you today! We have a series of three printable Halloween games for kids festively decorated with my favorite kind of corn, candy corn! 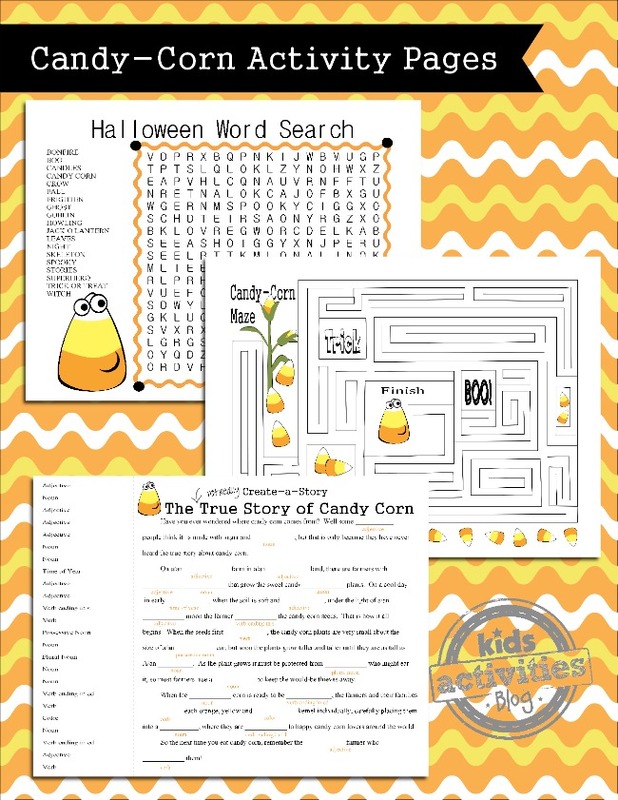 A Halloween word search perfect for your Kindergarten or grade school student. Print an extra one for yourself…you know you want to do it too! The Halloween printable maze is fun for kids of all ages. Create a story with the Legend of the Candy Corn page for some elementary fun! Great resourses to be printed and used instantly! beautifully presented and really motivated! Awesome work!!! !